Welcome to 2525 Orwell Court in Modesto, CA. This three bedroom, two bathroom home is on a massive 11, 281 square foot lot and 1, 388 square feet of living space. 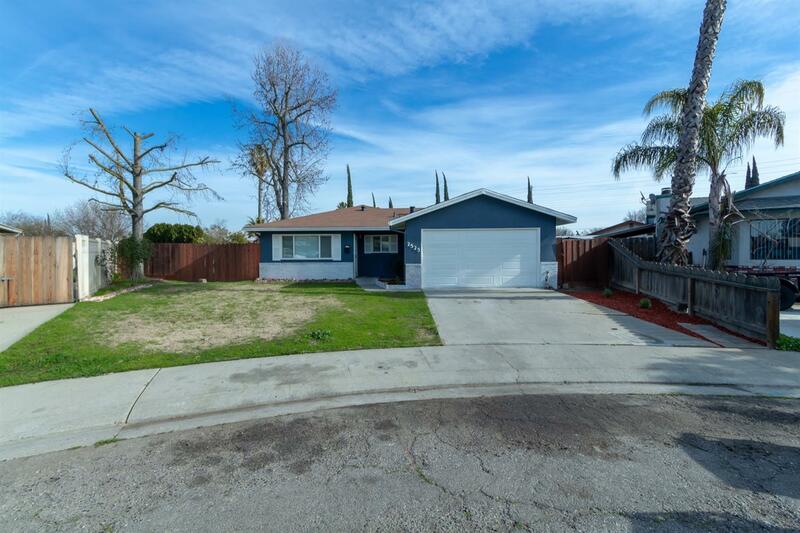 It has been almost completely remodeled with fresh interior and exterior paint, quartz countertops in the kitchen and bathroom, stainless steel appliances and wood style tile planks in the kitchen and living room. The bedrooms and converted patio have new carpet as well. This home is move-in ready and the backyard has plenty of space for your kids, pets or friends!